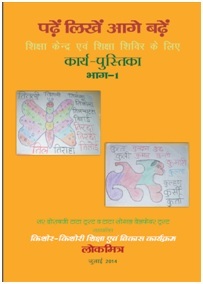 PRAGYA Bulletin is a compilation of good practices of teachers of state government schools of Raebareli districts of Uttar Pradesh. 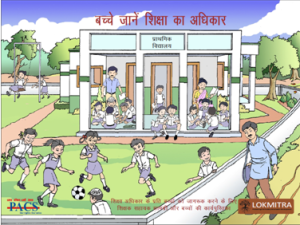 It is part of Lokmitra effort to promote teacher’s initiative of peer learning at school, cluster, block & district level. In the 8th year of this effort, 12th issue of bulletin is being published. 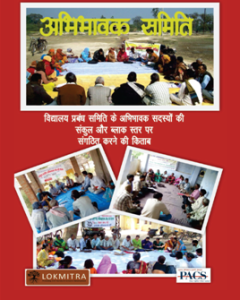 Jan Pahal Bulletin of Basic Shiksha Manch is an advocacy document. 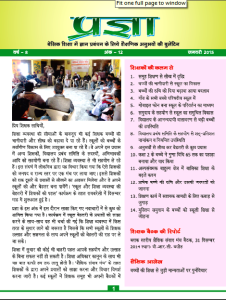 This Bulletin has taken place of Guhar Bulletin that was getting published in pre-RTE period. Lokmitra brings it out on behalf of Basic Shiksha Manch for promoting systemic change in education and thus ensuring right of each child to quality education. This Bulletin does the critical review of initiatives of government, highlights critical areas and suggests changes. Bulletin also show-cases the effort of CSOs. Bulletin is taken to Government functionaries, Education Department and People’s Representatives through delegation and through Shiksha Samvad at state & district level. पढ़ना-लिखना सीखने के दौरान सतत् मूल्यांकन के लिए इस कार्य-पुस्तिका में संकेतक दिये गये हैं। कुछ संकेतक कुशल पाठक बनने के लिए आवश्यक दक्षतायें के आंकलन के लिए हैं. कुछ संकेतक पढ़ना सीखने में सहायक कुशलताओं के आंकलन के लिए। टाटा सोशल वेलफेयर ट्रस्ट से यह कार्य-पुस्तिका प्रकाशित हुई है. 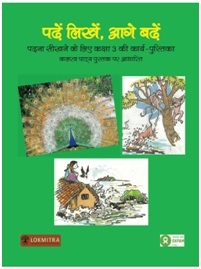 This booklet is supplementary reading material and activity book on Right to Education for Children of Uttar Pradesh. It has a story of a child named Karan who finds that now school has become an interesting place to learn and play. Children are briefly introduced to key provisions of the Act. There are ten group activities for children so as to enable them to assess their school and contribute to school improvement. 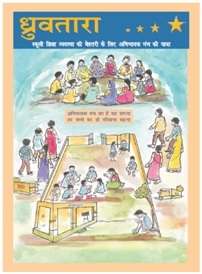 Teachers can use use this booklet for involving children in making school more effective in ensuring RTE.